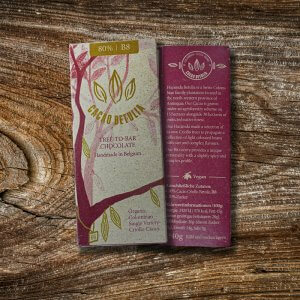 Handmade Tree-to-Bar chocolate with 72% organic Colombian Single Variety B6 Criollo Cacao. 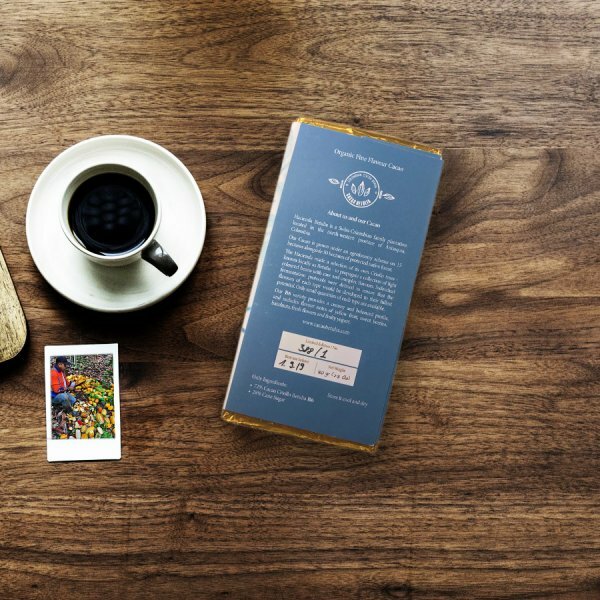 Our B6 variety provides a creamy and balanced profile, and includes flavour notes of brownie, raisins, plum, mocha and tobacco. Betulia Cacao B6 is a Tree-to-Bar Chocolate, Handmade in Zurich. It is completely vegan and contains 72% organic Colombian Single Variety Criollo B6 Cacao from our Hacienda. 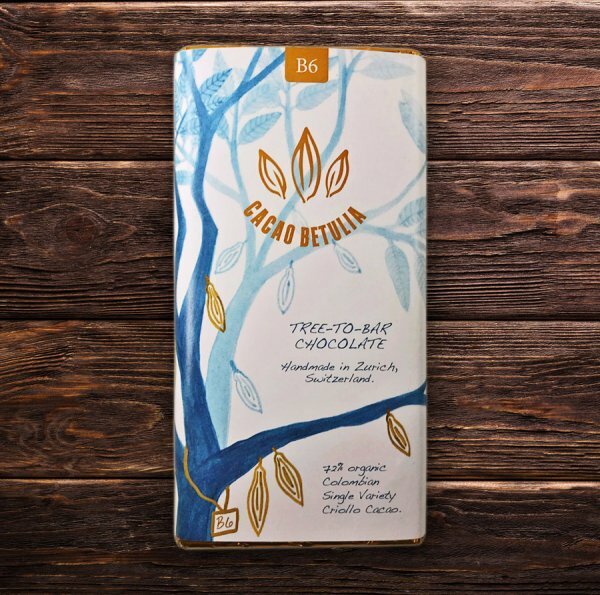 Our B6 variety provides a creamy and balanced profile, and includes flavour notes of brownie, raisins, plum, mocha and tobacco. 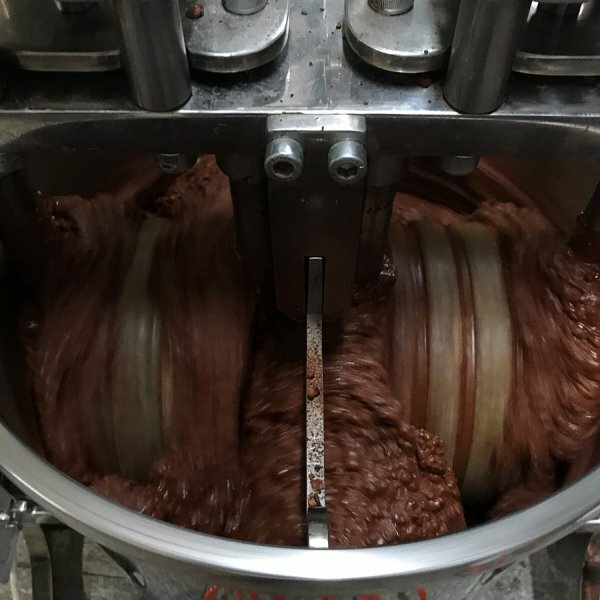 Carefully selected and processed, our cocoa beans are converted into true Criollo fine chocolates, making dark chocolate looks like milk chocolate! Have a bite, let it melt in your mouth and let the exquisite flavours and aromas bring you along the cocoa reserve of our Hacienda! Join our adventure! 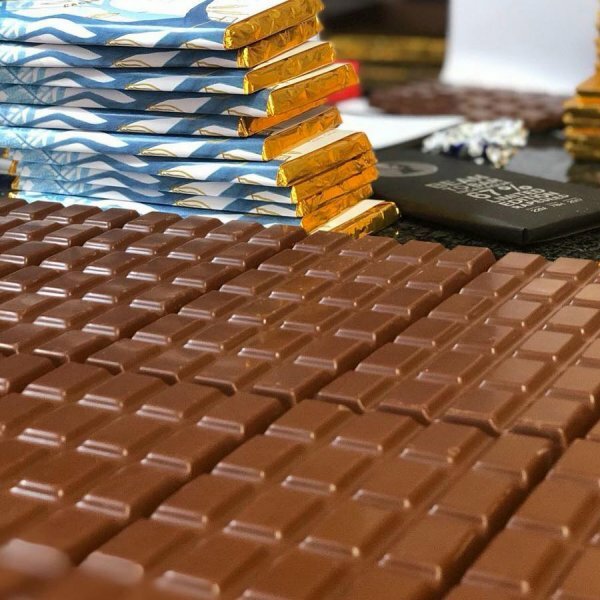 The 2018 Autumn Edition is limited to 388 bars and comes with an individual serial number. Hacienda Betulia is a Swiss-Colombian family plantation located in the north-western province of Antioquia, Colombia. 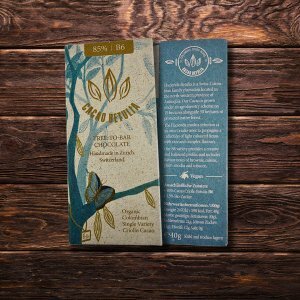 Our Cacao is grown under an agroforestry scheme on currently 15 hectares alongside 30 hectares of protected native forest. 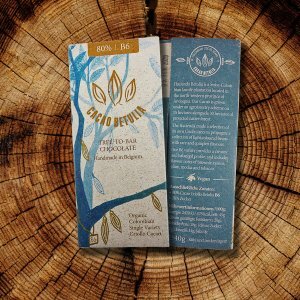 The Hacienda made a selection of its own Criollo trees – known locally as Betulia – to propagate a collection of light coloured beans with rare and complex flavours. Individual fermentation protocols were defined to ensure that the flavours of each type would be developed to their fullest potential. Only small quantities of each type are available.